Your big day is approaching and you want to make it extra special? There are many reasons why to hire transportation for your wedding. 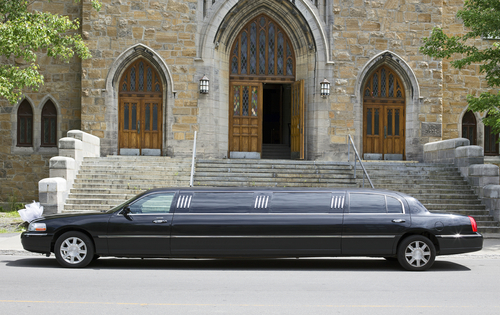 Treat yourself by rolling up in style in an elegant limo. Pamper your guests by arranging for a premium wedding shuttle service in Los Angeles. Have the time of your life without any worries! You want your nearest and dearest to have a great time at your wedding party. So, make it easy for them to get to the venue hassle-free, without fretting about slow LA traffic and GPS coordinates. This is even more helpful for out-of-town guests, who’d be anxious about finding their way to the wedding. You should include transportation instructions on your wedding invitations so the guests know the pick-up location and time. What’s more, after the wedding reception is over and your guests head home, hire a vehicle to make sure they do so safely. They’ll be thanking you because professional drivers will get them home securely in no time. How do you go about renting superior transportation services? With this advice, you’ll avoid the pitfalls of wedding transport organization. Wedding transportation companies usually have a busy schedule, especially during the wedding season, which peaks in June and September. So, keep in mind that the right time to book wedding transportation is several months in advance. When you’re scheduling your wedding transport, timing is key. Leave a thirty-minute gap between the time of the pick-up and the start of the ceremony. This is to ensure everything runs as planned, without anyone being late, which is as important as getting a marriage license. Factor in how many passengers your ride can carry. If you’d like to take photos on the way, take into account that the photographer will need an extra seat. 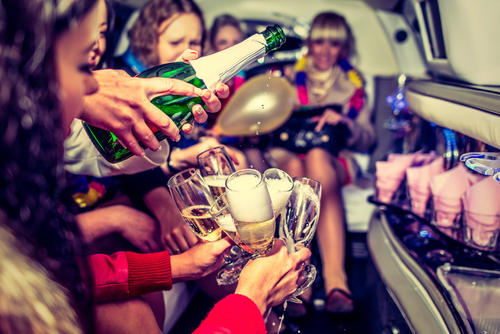 Hire enough cars to comfortably seat all of your guests and minimize the chances of runny makeup and wrinkled party outfits. If you want to snap amazing photos in transit, see if you can decorate the ride according to your wishes. Car service companies mostly accommodate clients’ requests. Also, enquire about the music you’d like to play in the car to get your guests in an awesome mood! Little things like these turn an OK event into a fantastic one! The cost of hiring wedding transportation varies depending on the desired type of vehicle and the length of the service. Most wedding transportation services offer a range of sedans, limousines and even trolleys and carriages. If you’re planning a large wedding with many guests, a coach that can transport many people at the same time would be a wise choice. A practical shuttle might be more appropriate for small to midsize weddings. A fashionable limo is a great option for those who’d love a touch of luxury, but it’s typically booked for the bride and groom. Just imagine whisking by the Broad in a first-class ride – it certainly will be priceless! Stay Classy LAX is the most trustworthy LA wedding shuttle service. If you want your wedding transportation to be luxurious and comfortable, opt for our reliable services. Our experienced chauffeurs are top-notch professionals who put safety first. Check out our website to find a list of rates we offer or contact us and we’re sure to meet your demands. Celebrate your love and pamper yourself and loved ones on your special day. With us, the best day of your life is about to get even better!